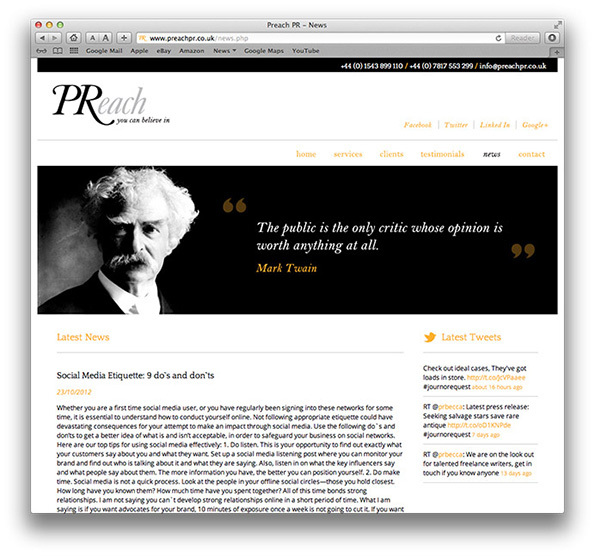 PReach are a boutique PR agency based in The West Midlands with National and International clients. PReach pride themselves on providing the very best service to their clients. 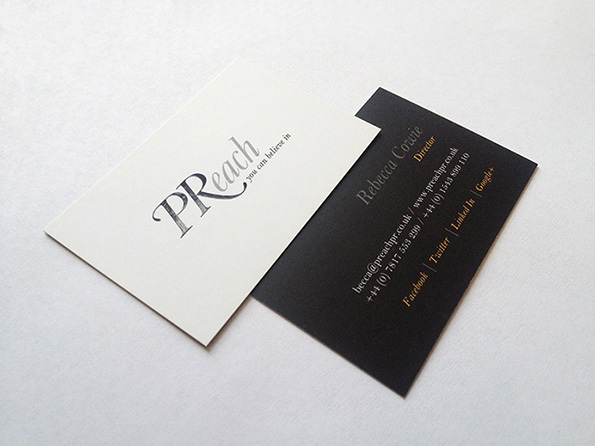 The brand identity is designed to represent the boutique PR agency with simple yet sophistocated typography. The company name and strap line are incorporated in the logotype, which is emphasized by the use of black against grey. The branding is designed to be applied accross a range of media, from business cards to web presence. 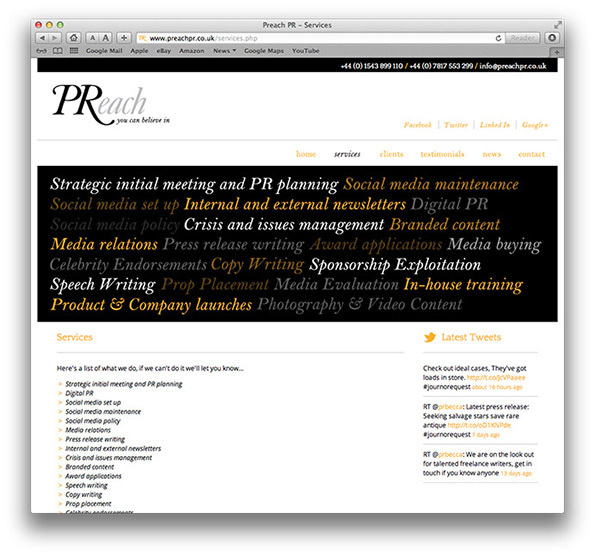 Their website design followed, a fresh appearance with a spot colour contrasting with the black and grey. 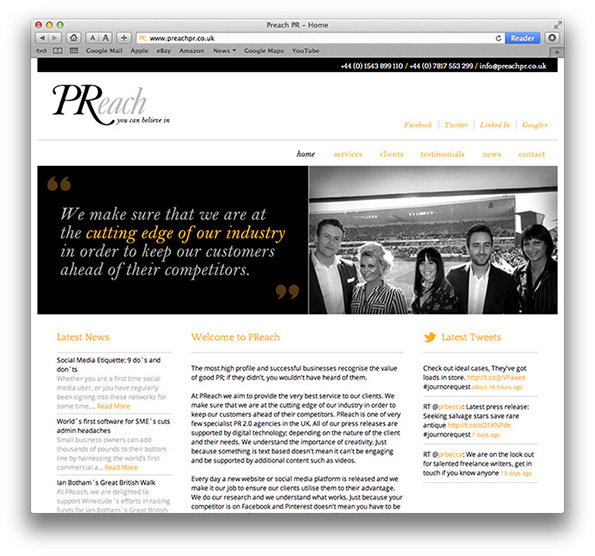 PR-related quotations were used accross the website in speech marks, further reinforcing the meaning of the company's name and branding. A custom CMS system was added to the website for the client to edit the content whenever they wish, keeping news and testimonials easy to update.